White vein kratom seem to be very popular, with noted stimulating, uplifting characteristics. This variety with Thai-genetics provides a nice complement to our Indonesian white vein kratom and our other strains. 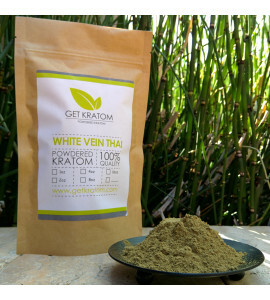 White Vein Thai Kratom There are 6 products.